This podcast is the final episode in our 3 Part Relapse and MS Series, where you’ll learn how to manage potential relapse related challenges at home, work and in your relationships. In this podcast, you’ll hear from a couple living with MS, Laura and Michael, as they share their experiences on how MS relapses have impacted their relationship as a couple, as well as their relationships with family and friends. This discussion will be led by psychologist Roz Kalb. This podcast is the second episode in our 3 Part Relapse and MS Series, where you’ll learn how to manage potential relapse related challenges at home, work and in your relationships. In this podcast, you’ll hear from employment expert Phil Rumrill and psychologist Roz Kalb, as they share strategies on how to handle a variety of work situations impacted by a relapse. The team will use real world scenarios to provide recommendations to help you navigate the impact a relapse can have on your work life and emotional well-being. This podcast is the first episode in our 3 Part Relapse and MS Series, where you’ll learn how to manage potential relapse related challenges at home, work and in your relationships. In this podcast, you’ll hear from physical therapist Mandy Rohrig and occupational therapist Juliann Hansen, two important members of the rehabilitation team. The speakers will share tips on how you can prepare yourself and your home after a relapse. Through a real world scenario, you’ll learn more about the transition from the hospital back to your home after an MS relapse. 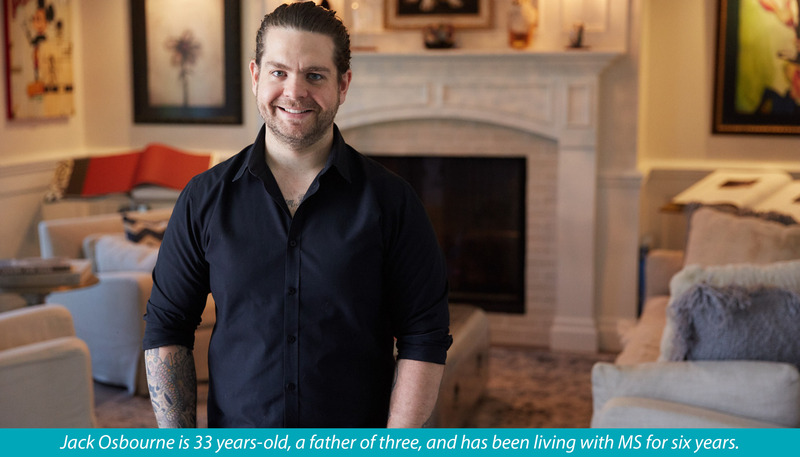 Recently, Can Do MS had the chance to chat with reality star and television personality, Jack Osbourne. Jack is 33 years-old, father of three, and has been living with MS for 5 years. After his diagnosis, Jack partnered with Teva Neuroscience to create the web series You Don’t Know Jack About MS.